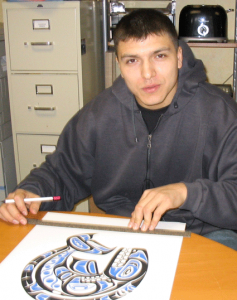 Paul Windsor was born in Kitimat, BC and is part of Haisla, Heiltsuk (Kitamaat, Bella Bella). Paul is currently residing in Vancouver, BC. Paul Windsor designed our Whale design for our Kids Colouring Contest.